A man traveling with the migrant caravan admitted he will be entering the United States illegally after being deported from the country on a conviction of attempted murder. Identifying himself as Jose, no last name given, the migrant said in an on-camera interview with Fox News that he plans to seek a pardon for a felony crime. A woman interpreting for the man asked him what crime he committed. While it appears to be the first time a migrant part of the caravan admitted to being convicted of attempted murder of a similar high-level crime, migrants have openly admitted that they’re seeking to re-enter the United States after being deported. Under federal law, that’s a felony crime. Imner Anthony Fuentes, 29, was deported just five months ago from Alabama and has been deported six times total now, he told the Washington Post. The crimes he committed to warrant deportation weren’t detailed. Juan Jimenez, 32, of Honduras was deported six months ago from Arizona and has also joined the caravan to try to illegally barge back into America. Group organizers admitted that the caravan included many people who didn’t plan to apply for asylum, but instead cross into the United States illegally and try to avoid being deported, many for the second, third, or fourth time. 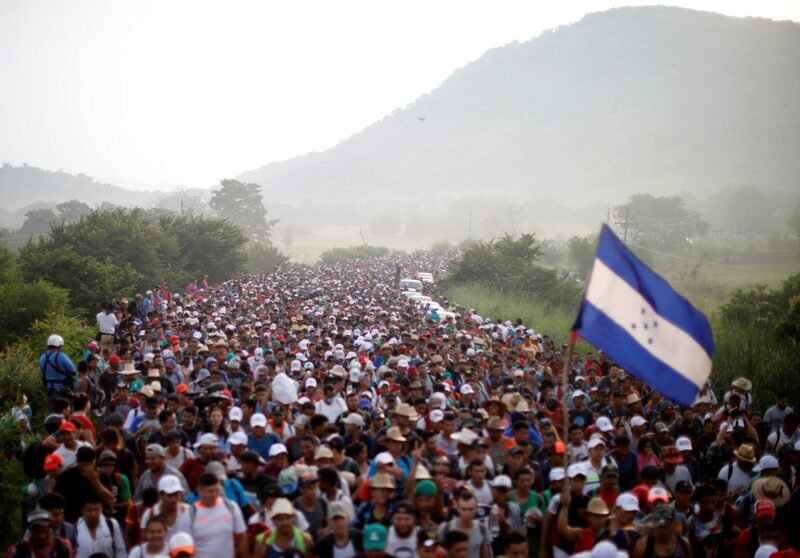 Jose’s revelation came on Oct. 28, as the migrant caravan rejected a new offer from Mexico of temporary jobs, education, and healthcare if the migrants would stay in southern Mexico. Mexican President Enrique Pena Nieto said on Oct. 26, that migrants wishing to obtain temporary identification documents, jobs, and/or education for their children could do so by registering for asylum in southern Mexico. “This plan is only for those who comply with Mexican laws, and it’s a first step towards a permanent solution for those who are granted refugee status in Mexico,” Pena Nieto said. In a show of hands vote, the caravan rejected the officer. Critics of the caravan note that those claiming to flee violence and poverty at home wouldn’t need to travel all the way to the United States, and would have accepted such an offer.